Description This extremely spacious house is rather special. Architect designed for the current owner it has very large open plan living areas and the hand made fittings, fixtures and furniture are of the highest quality and are fully included in the sale price. This beautiful property is located just 5 minutes from the village of Casabermeja, with all the required amenities and is less than 30 minutes from Malaga, the Airport and the Coast. The house is situated in its own land of 25000 sq mtrs and has the best views in the area. The panoramic views are to the mountains in the East, West and North and to the coast in the South with clear views down to the Port of Malaga - it is really a very special property. The house comprises a covered porch leading into an entrance lobby and then into a spacious inner hallway, the sitting room is 140sq mtrs in size with a central glass surround feature log burning stove, there is a dining area and an open plan modern kitchen with breakfast bar. All the kitchen units are hand crafted and all of the fitted equipment is of top quality. There are 3 spacious guest double bedrooms - one with ensuite shower room plus a further family shower room. The Master Bedroom is large and has a walk-in wardrobe plus a lovely ensuite shower room. Outside there are extensive terraces and formal gardens plus an enclosed courtyard area. Under the house there is a large double garage with 2 independent storerooms. There are 2 separate water deposit rooms and pump rooms. The house has hand made solid wood doors and fixtures, sound absorbsion wall drapes, Full Airconditioning and heating, double glazed aluminium wood appearance windows, full alarm system, solar water heating, Satelite TV, Broadband Internet and much more. There is a 3 phase electricity supply and the water is from a 180mtr deep borehole with unlimited supply. There are large water deposits for the irregation system and a 10000 ltr drinking water deposit. The Scandanavian owner of this property has left no expense spared with Danish hand made furniture and kitchen facias. The roof height of 4.5mtrs in the living areas is quite unique. The pool area is a special feature with the infinity pool having views down the valleys to the coast. In addition to the mature plants and shrubs there are numerous fruit trees and bushes including Almonds, Olives, Figs, Plums, Lemons, Nectarines, Peaches, Nisperos, Raspberries and Strawberries. The house is approached through electric entry controlled gates into its own 200 mtr private concreted driveway. The land is suitable for equestrian activity. This is an exceptional property and one to dream about. 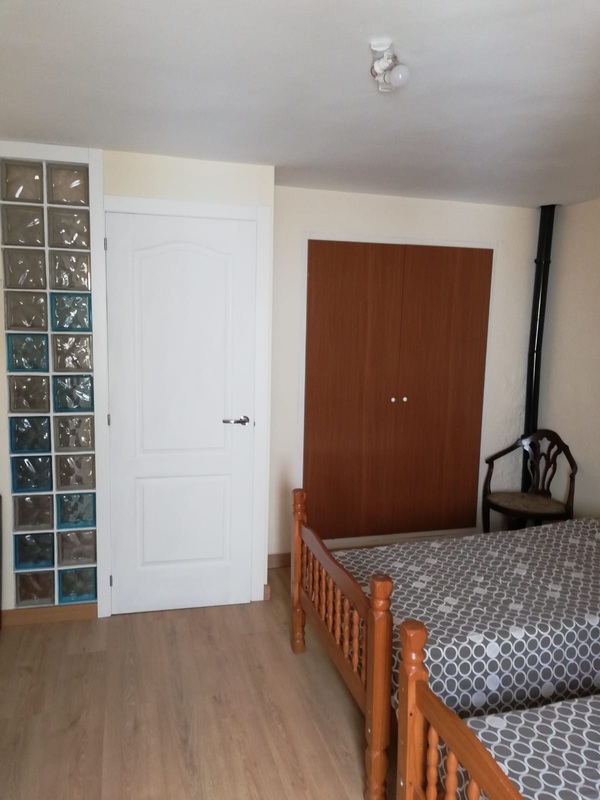 Recent valuations of 1.5 Million Euros have been made but this property with all of the contents, fittings and furniture is available at the unbeleivable price of 695000?. No offers below this level will be considered. If you can afford it and you view it - you will buy it.